Vintage Old Real Photo Photograph Photographic post card. Ethnic Life. Straits Settlements Malaya Malay. Animals. Singapore. 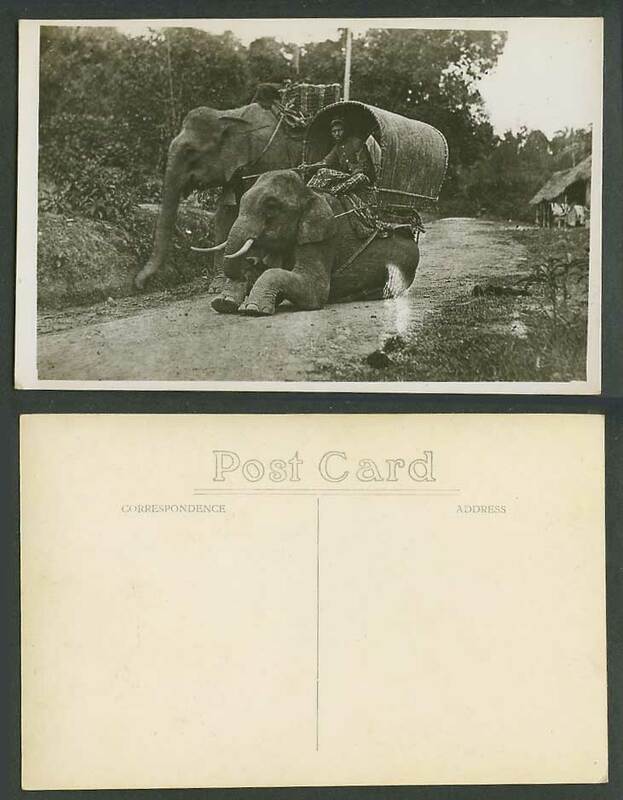 Native Elephant Rider, Chair on Top. Elephants. Village Street Scene. Native Huts Houses in background.